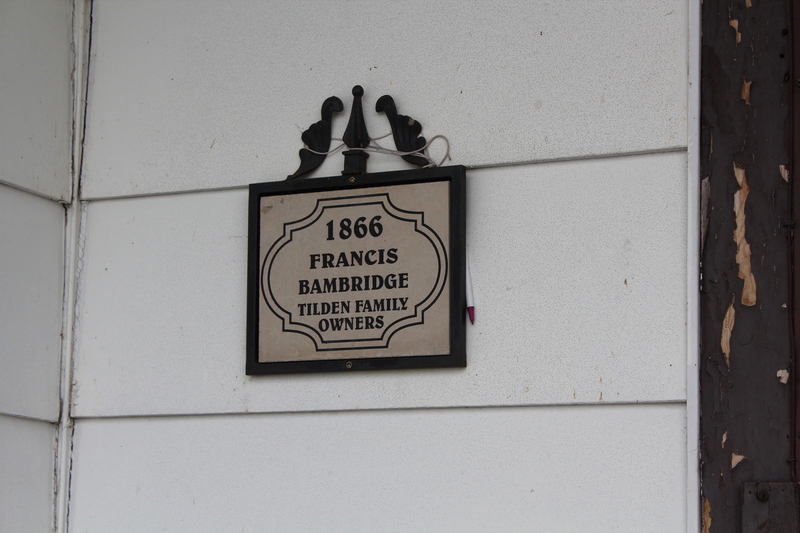 According to historical records, Francis Bambridge was the first settler on this lot and obtained the crown deed in 1872. He was there only two years before he sold to his son Abraham. A succession of owners followed including McGinn, Staiger, Honochs, Hinde and then to Alexander Davidson in November of 1897. Next was William Francis Tilden, who purchased the farm, sight unseen, on the recommendation of a relative real estate agent. The family had lost their home near London in a fire the month before. William F. and his wife, Rose Ella Tilden, moved their young family (Ethel, Effie, Florence, Art, Bill, Charlie and Lamont) and a few rescued possessions in May 1917. Other furnishings they required were obtained at local farm auction sales. One of the first things that had to happen after the move was a new roof. Wm. Tilden Sr. worked with Malcolm Macmillan, Billy Dewbury and Tom Whitten to nail down new cedar shingles. Son Bill took over the farm in 1937, married Margaret MacMillan in 1938 and together they raised a family of four (Annette, Willa, Deryk and Mark). There never was a log house on this farm. 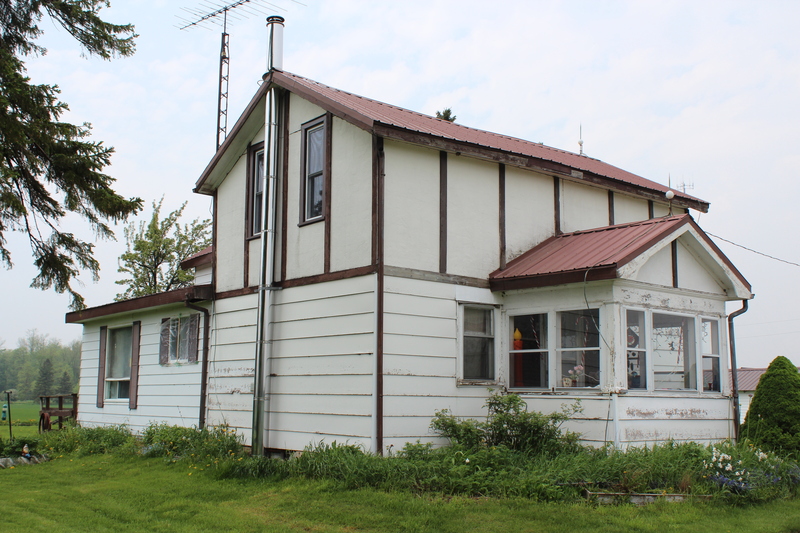 The original building was just a tiny wooden cabin and about 10 years later an upstairs was erected over those two small rooms. About the turn of the century another section was added, complete with upstairs - this made a tow storey L-shaped building. When the Tilden's came in 1917, the house exterior was the original unpainted pine cove boards. This was covered with red/navy 3 in 1 asphalt shingles during 1931. 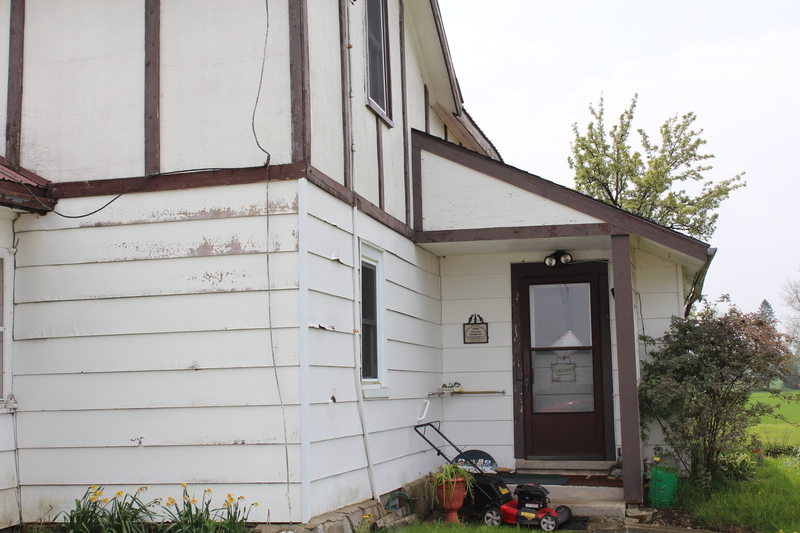 In 1980 the house was covered again, this time with white siding and brown board swiss type trim on the upper storey. Since the completion of the original house around the turn of the century, current owner Bill Tilden has witnessed the rest of the structural changes. He watched cedar shingles give way to asphalt and finally to a metal roof. In 1925 the old woodshed was demolished and the summer kitchen was revamped and enlarged to become the present kitchen and entrance hall. Hydro and plumbing were welcomed in 1948/49. The high ceilings were lowered in the early 70s following the conversion from wood stoves and pipes to oil furnace and ductwork. Having lived in the house for 86 years, owner Bill Tilden says "it fits like a glove."